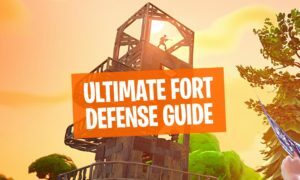 Welcome to the ultimate Fortnite Camper Guide for Battle Royale with tips and tricks! 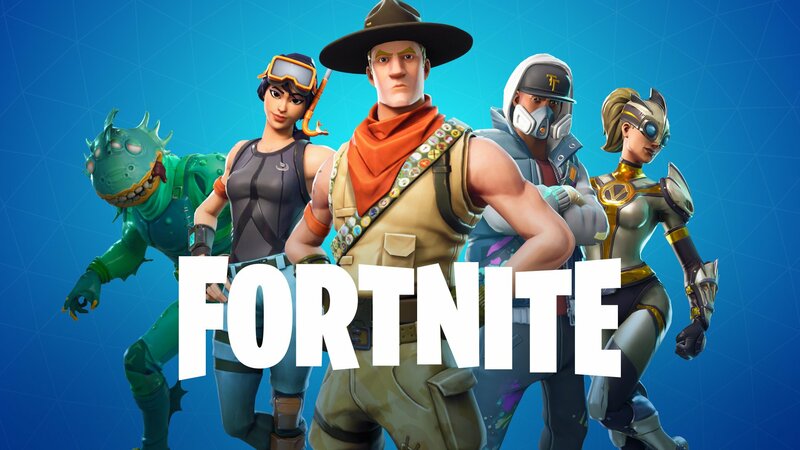 😀 In Fortnite Battle Royale players have a different skill level and are experienced in mixed disciplines. 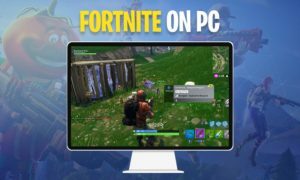 What is Camping good for in Fortnite Battle Royale Matches? 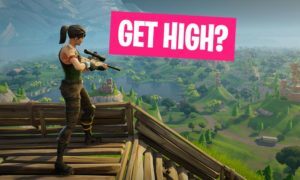 No, it’s much more than that: Camping is a behavior, that every Fortnite player can adapt to make the most of some situations. 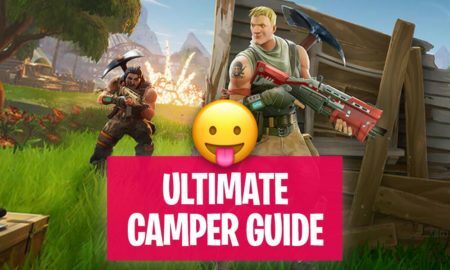 In this Fortnite camper guide you will get to know the playstyle to be one! 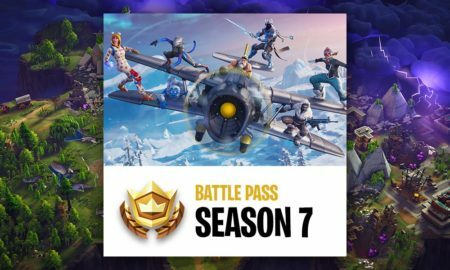 While it’s the best to always run and move to the safe zone, camping and listening to the sounds, trapping enemies and eliminating from behind is an extremely efficient way to win Battle Royale matches. Camping is a technique in which a player hides his presence from other players and kills them when they let their guard down: This is the reason most of the players hate this technique. 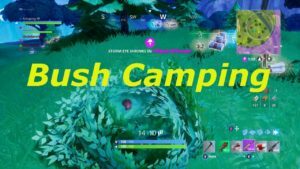 The commonly used and the most viral type of camping in Fortnite is bush camping. 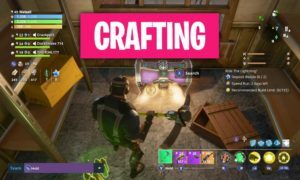 How to Camp in Fortnite Battle Royale? 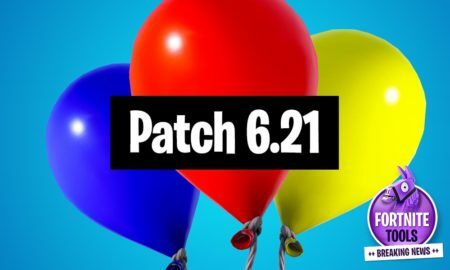 Jump from the battle bus at the end and drop at a location where are only few enemies. Collect as many weapons, items, and resources as you can in a short time. Because when a player is going to camp there are no chances of collecting resources then. The player just has to vanish into the wilderness where no one could detect him. After collecting all the necessary things it is time to reach a crowded area. It is going to be the area where the player is going to hide his presence. Hide in such a way where no one ever expects you.Some areas are darker than usual places, crouch and hide in those places! How to Move while Camping? It is difficult to shift from one area to another while camping. Because, if an enemy has seen you, then there are no chances that the player is going to camp again. Only one way is left which is DEATH! 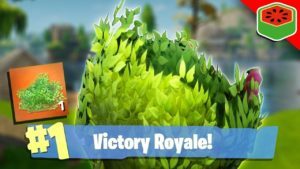 To avoid the storm every player has to be in the safe zone – if you are playing as a camper then it is crucial to keep moving from tree to tree & bush to bush. It would get harder for a camper to move in the open area, if the area is covered with huge grass then you have to move while crouching or hugging the ground. Otherwise, just pray no one sees you. 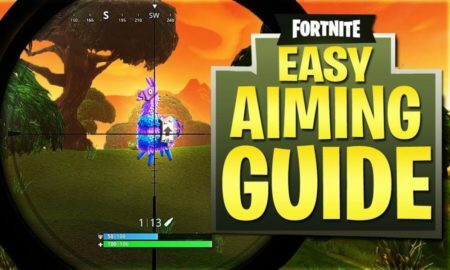 Fornite Camper Guide: What is Bush Camping? 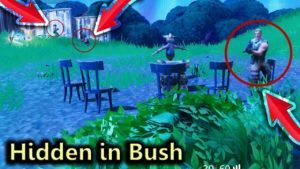 Bushes are something which you can see in any open area in Battle Royale: These bushes are not only helpful for resources but it can also be very beneficial to hide your presence. 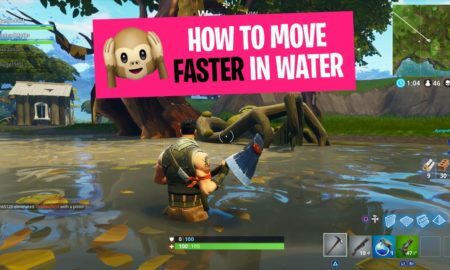 This camping technique is considered as the most annoying one. Because most of the snipers are camping in these bushes. If it is difficult for you to find a good place in a crowded area, then do not waste your time and go for the open areas and find some bushes! 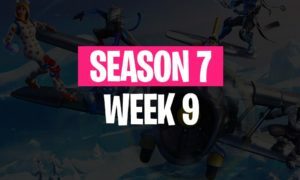 Which Fortnite Weapons are perfect for Camping? Many players die in the game without knowing from where the shot came! It is also one of the reasons players hate campers because most of the snipers are camping and waiting for their prey. 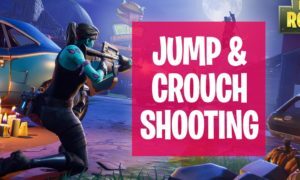 Fortnite camper guide & weapon usage: While camping, two types of weapons are necessary: short-range and long range. Pick a good shotgun and a sniper with high accuracy and less reloading time. Check out our weapons guide it will help you better to understand. When there are less than 30 enemies left in the game, run towards the final safe zone. Camp somewhere, where no one could be able to see you. Truly speaking, camping is not always fun, it can be too boring to be a camper. This is the reason most of the player avoid camping. Siting and hiding at one place seem so lame and boring: This is the reason why most players lose their patience. I am as well a very impatient type of guy and camping is just not my type. I prefer kills, thrill, and intense gaming, but a great salute to those players who do not move just stick to one place and observe. 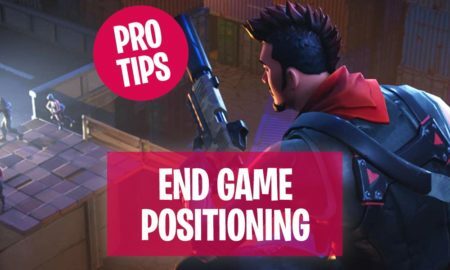 Perfect areas matter for Fortnite campers because if a player is not camping in a suitable area, then it means the player is just wasting time. If a camper wants to get more than 1 or 2 kills in the whole game then it is necessary to pick a crowded area! 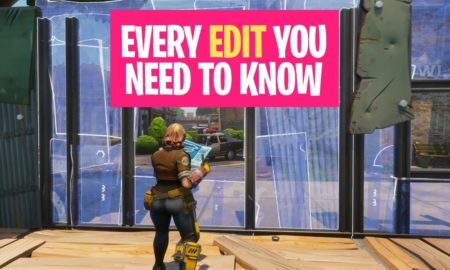 The goal of every Fortnite camper is to earn the Victory Royale without making an effort. Camping is not for the aggressive and impatient players. The main purpose of a camper is to keep waiting and survive till the end. Sometimes having more kills in an entire game is a blessing for a camper. The biggest dream of every camper is to survive and win the game!